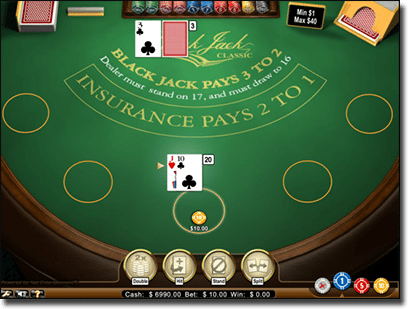 Games: Classic card games like blackjack, baccarat and poker titles such as Texas Hold’em, Caribbean Stud, Oasis Poker, Pai Gow, Red Dog, Top Card Trumps and Three Card Rummy. Other favourites include roulette, slots, video poker, bingo, keno, virtual racing and sports titles. G’day Casino has a high quality and variety of games, excellent customer support, and the reliability and security of this online gambling website is second to none. This review will briefly take you through all the important features of this site, which was first founded in 2013. Note: This review is intended for our international readers only. G’Day Casino does not accept Australian players and Australians cannot gamble online as of September 2017 due to the Interactive Gambling Amendment Bill 2016 coming into full legal effect. 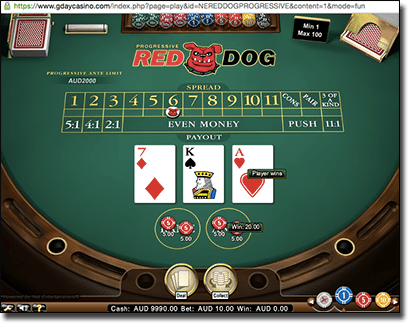 G’day Casino is an ‘instant play’ browser based Internet casino – all games are accessed directly via the Web, and there is no option to download or install any software. With the technological advances in HTML5, Flash, Java and other browser formatting language, the quality of G’day’s games are excellent and easy – just load up your browser and play once you’ve signed up for an account. G’day Casino has its own mobile and tablet gaming interface, and while not all games are available on these platforms, the majority are, with more and more titles being released on a constant basis. To play on your mobile, tablet or even Smart TV device (great for live dealer titles), access any of our G’day Casino links directly from that medium, and you will be good to go. Registration at G’Day is a quick and easy process (free of charge) – details required include name, username, password, email address, country of residence, preferred currency and date of birth. At any time, you can request to have your details removed from the G’day Casino database. Once you have a registered account, you can make an instant deposit using any of the several globally trusted and banking methods. All electronic financial transactions are protected with the latest Secure Socket Layer digital encryption technology, and none of your personal information is ever shared with third party companies. Ensure you make the most of the current new player welcome bonus when making your first deposits. Free spins and matched deposit bonus cash is a great way to kick start your online gaming experience. You will also be informed of other player bonuses, promotions, competitions and tournaments via email, once you have signed up, so make sure you provide an active email address. 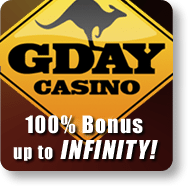 Free spins, money back, ongoing deposit bonuses, double loyalty points cash and mystery prizes are just some the rewards you will receive as a G’day Casino member. Loyalty points are another great way to enjoy your gaming experience – earn as you play (real money mode only), and you will be able to exchange your points for cash once you reach a certain amount. You will also receive additional rewards, bonuses and other unique VIP benefits as you accumulate more and more Loyalty points. G’day Casino is licensed by the United Kingdom Gambling Commission, and has all of its games regulated and tested by the Curacao regulatory authority (Curacao eGaming) to ensure complete fairness to all customers. Payments are processed via eMerchantPay which is registered with United Kingdom’s Financial Services Authority. G’day Casino outlines its responsible gambling policies, offering players the ability to impose sanctions such as player limits, time reminders, timeout periods, self-exclusion, along with access to all account and gaming history and financial transactions. You can get in touch with the casino support staff at G’day Casino via email ([email protected]) or live chat (located at the bottom right hand side of the desktop site. The site also features a list of frequently asked questions which may help to answer your inquiry. Sign up at www.GdayCasino.com and start enjoying some great real money card games, and an overall quality casino gaming experience.